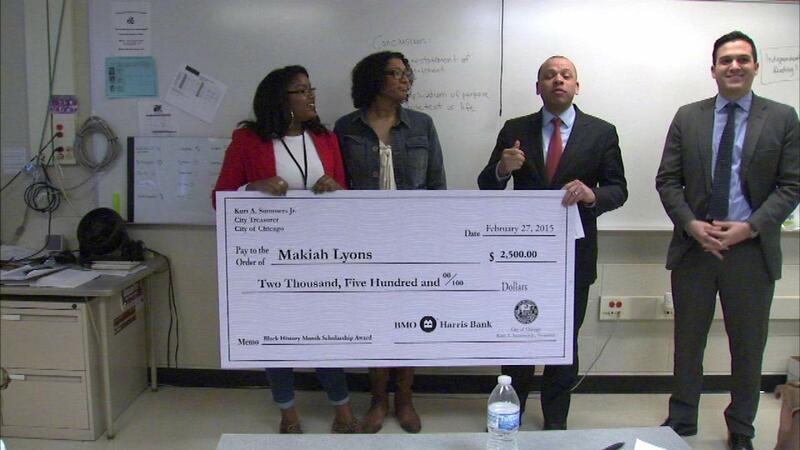 CHICAGO (WLS) -- Makiya Lyons, a Chicago teenager, has received a $2,500 scholarship in a Black History Month essay competition. Lyons learned the news while she was in class at King College Prep Friday. Each year, the Chicago city treasurer recognizes a student displaying outstanding achievement or community involvement based on an effective essay. Lyons will be going to Howard University in the fall.